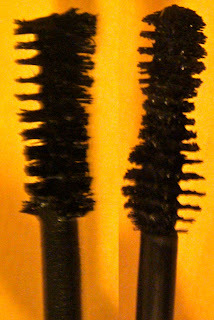 So this mascara seems to be all about the brush according to smashbox.com. I must say it is the mascaras most redeeming feature. I have had this since mid December and I must say it is my night out mascara. It gives me a fuller thicker lash without clumps or gooping up on me. It has a slightly thicker formula (not too liquidy) and with the brush works great to add a false eyelash effect (or at least on me). The brush has sort of an hourglass shape to it, but still gets bigger on the end. It is similar to the Avon Smooth Minerals Mascara but at the same time different. It is just as effective as the Avon at providing a clump free thick full lash. The formula is jet black and leaves my lashes feeling nice and not too crunchy or stiff. I really like the formula and wand to this mascara. It gives me a great full lash effect without tons of coats, it never clumps and the brush is great at catching all the little hairs that are hard to get. 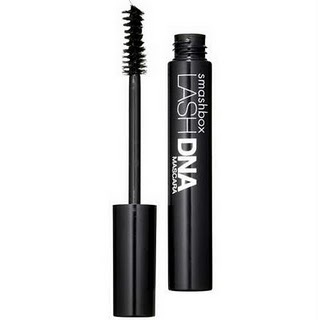 I have yet to be let down by a Smashbox mascara and this is no exception.